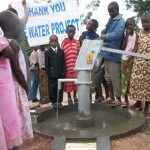 A recent campaign in Uganda has helped provide clean water for schools throughout the Ruhaama district – an area like many others in Uganda where children can’t go to school because of the time they spend collecting water or because they fall ill from drinking the water they fetch from contaminated sources. 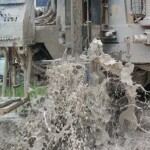 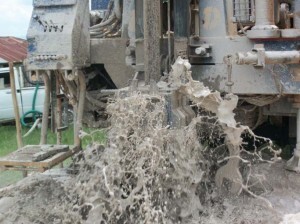 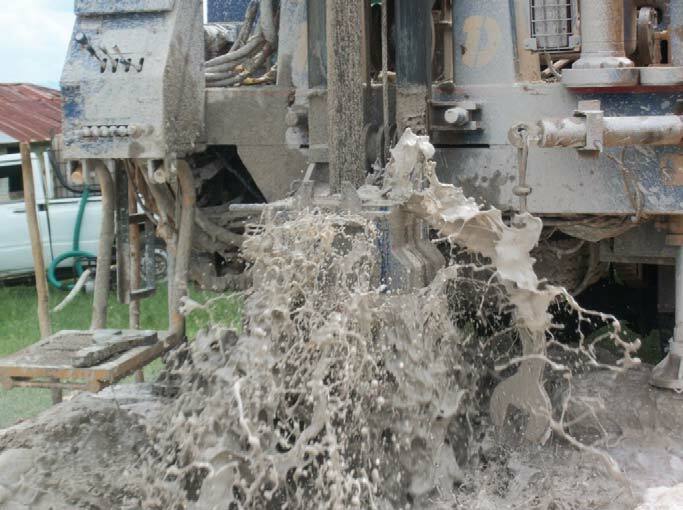 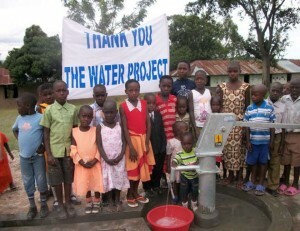 Thanks to the support of The Water Project donors, ten wells have been completed to date. 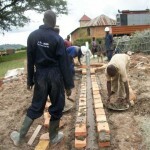 Butare primary school and community is located in Butare parish, Ntungamo Sub County, Ntungamo district. 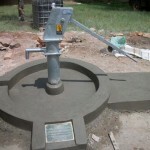 The area has since been using a protected spring located near the school and a small 5000 liter rain water catchment tank. 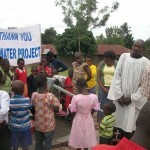 Both the rain water catchment and the tank are seasonal. 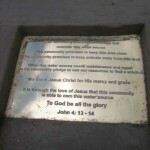 There was very little rain at the time of the visit and as a result very little water was flowing from the protected spring. 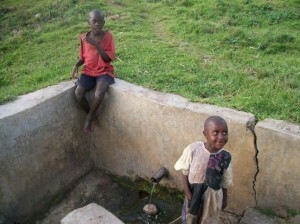 According to the deputy headmaster, this water is insufficient for both community and the pupils. 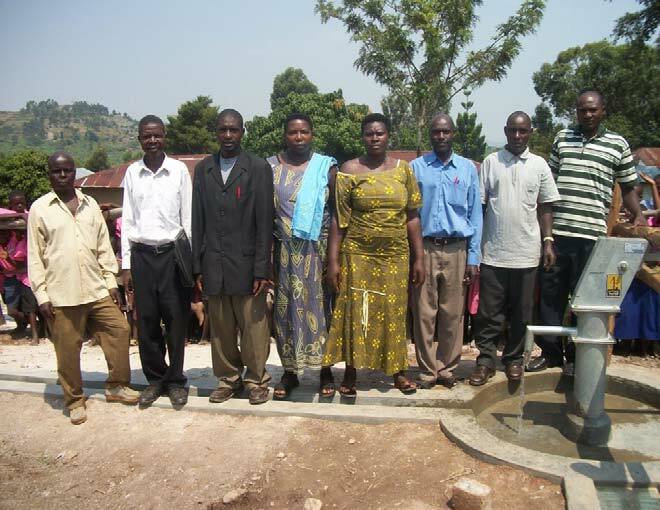 When the team arrived, community members were dependant on a spring located .1 of a kilometer away from the community, to meet all of their water needs. 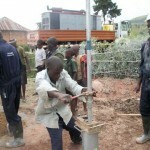 Because of this, residents were suffering from malaria, diarrhea and severe dehydration. During the team’s stay, community members assembled a water committee consisting of six men and two women who assisted the team with the water project whenever possible and provided food for the staff. 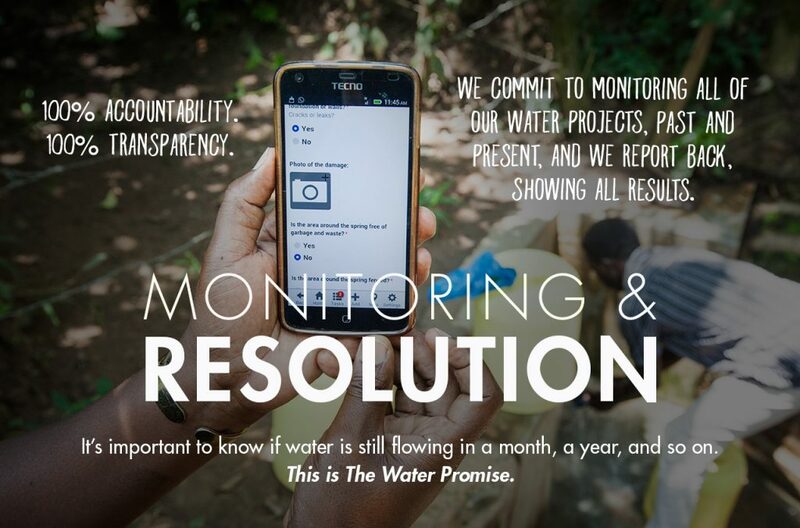 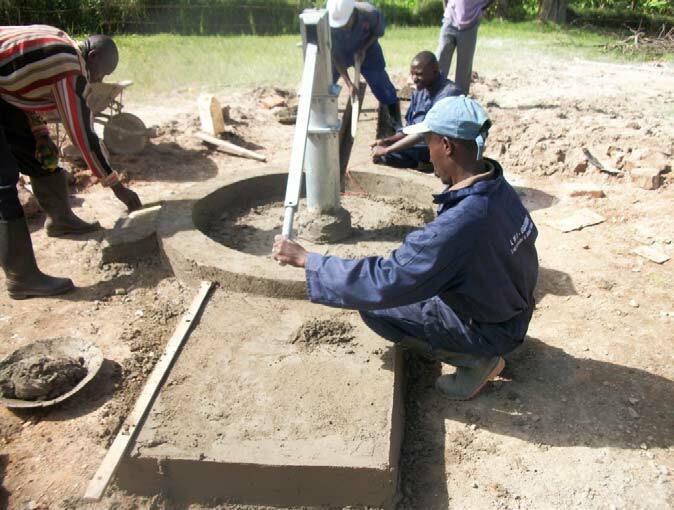 This water committee is also responsible for maintaining the well through a sustainability strategy in conjunction with the LWI sustainability coordinator. The nearest school is a primary school located in the community whose students, teachers and administrative personnel all have access to the new, safe water source. “We have been so near to the church but far from God!!! 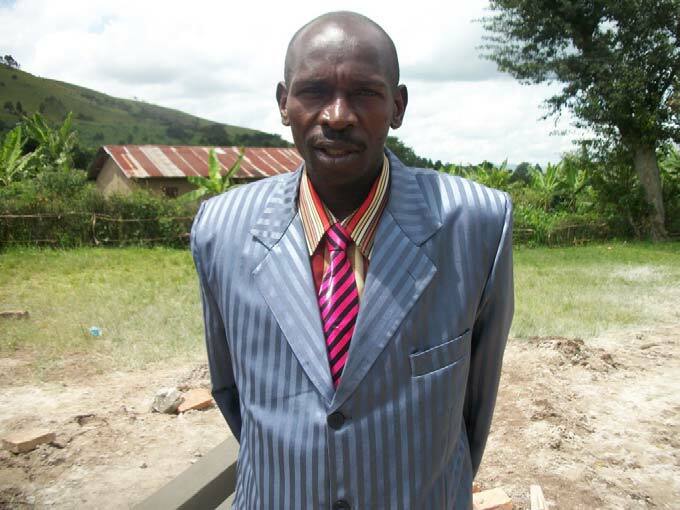 But LWI brought me closer to God” Says one of the participants who attended hygiene education training after listening to bible stories he heard from LWI evangelist. 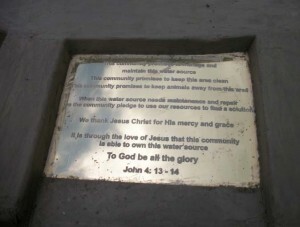 This community was quite a challenge because most members seemed to be more interested in the certificates than hygiene education. After the first day, the rest of the members who attended the classes seemed to have adjusted and were more willing to learn and enjoyed the lessons taught. 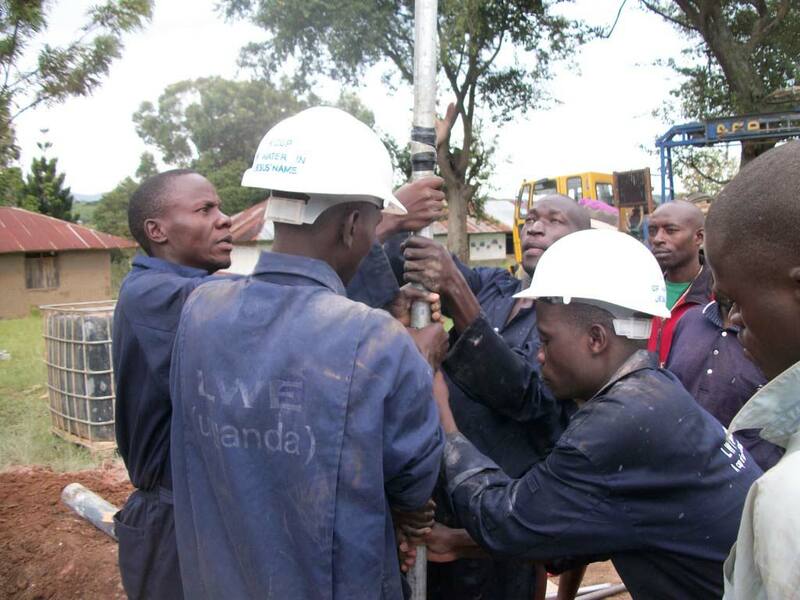 In this community, during the team’s discussions, the LWI Uganda team was informed of the following being the most common illnesses most homes face; Flue and cough, malaria, diarrhea and trachoma. Some of the unhealthy practices that most people around the community engage in include; Animals being left to loiter around and some end up drinking in some of the water sources from which people get water for home use. 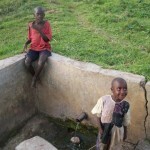 Open defecation is a very common practice especially around water sources and it’s mainly children that go to draw water and end up playing or even swim in the streams. 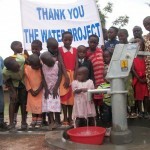 Washing hands in one bowl is another practice that most people do because they are not aware of the danger it can cause. Many people here do not clean their latrines and others leave their children’s waste in the open just close to the latrine. 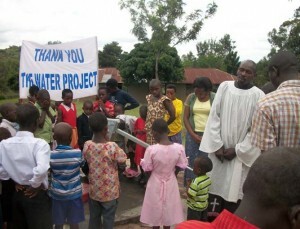 Most of the people use dirty jerry cans to collect water and also drink water that is un-boiled. 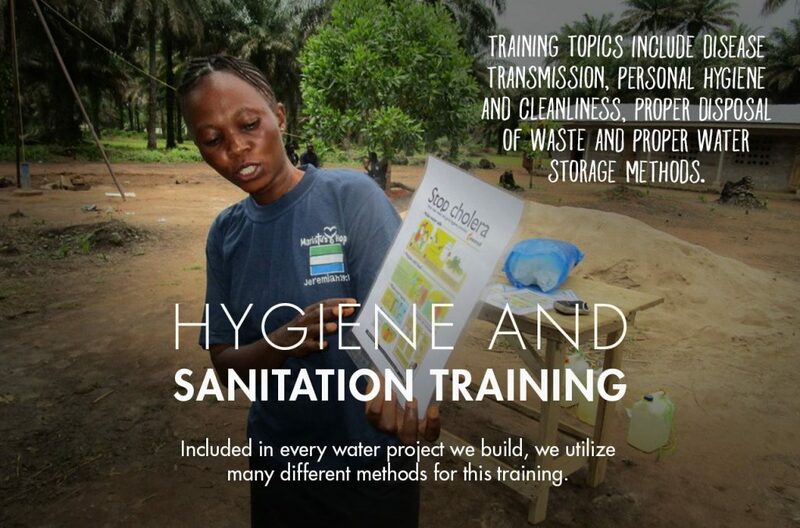 During the hygiene education there were two community kits distributes, 10 ORS spoons distributed and the lessons included the following: Disease transmission, germs, hand washing- proper techniques and water saving methods, healthy unhealthy communities, diarrhea doll- causes of diarrhea, Oral Rehydration Solution, proper care of the pump, keeping the water clean, community mapping- identifying hygiene behaviors, good-bad hygiene behaviors, disease transmission stories, clean hands clean hearts and dental hygiene. 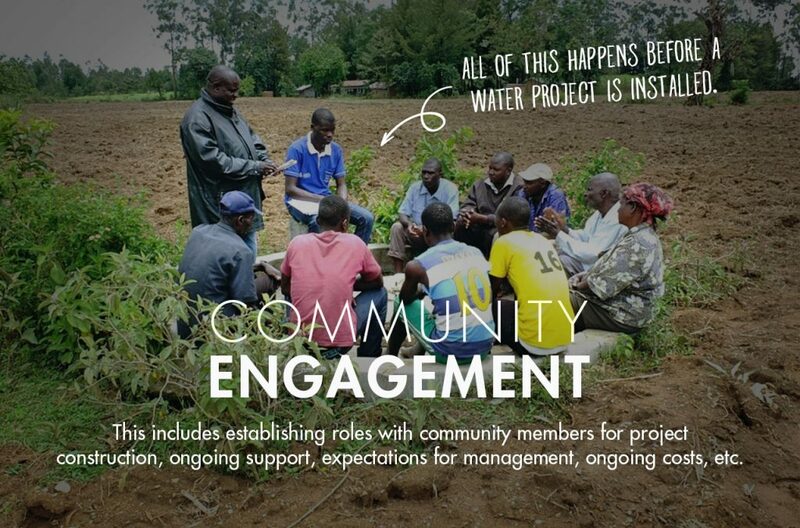 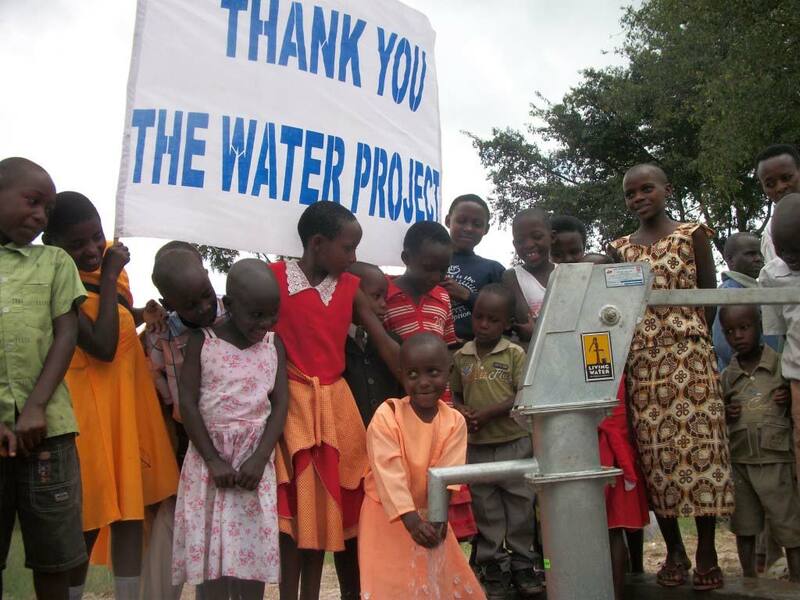 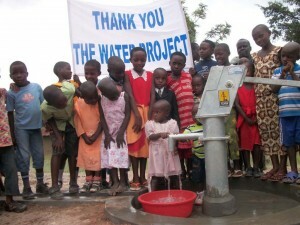 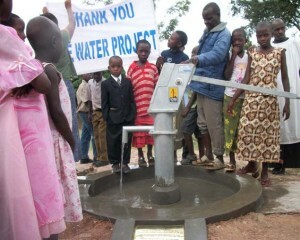 We’re so thankful to the supporters of The Water Project for making this well possible. 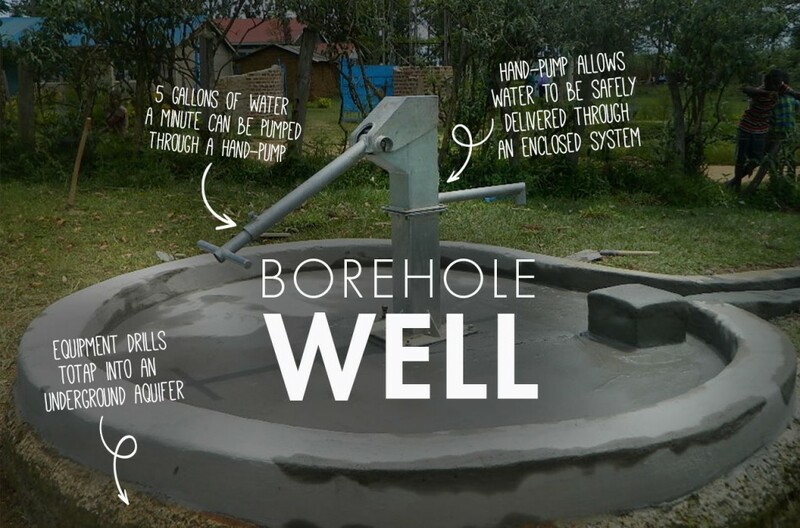 It will do a great good! 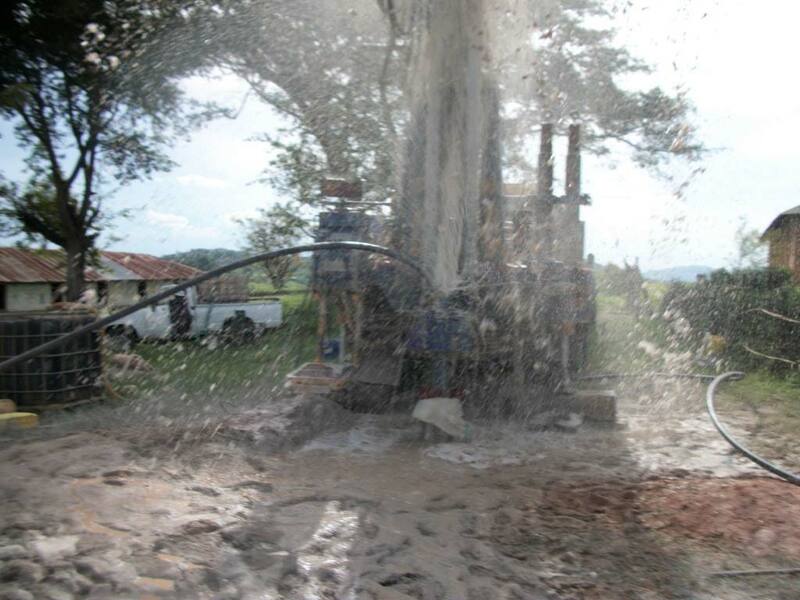 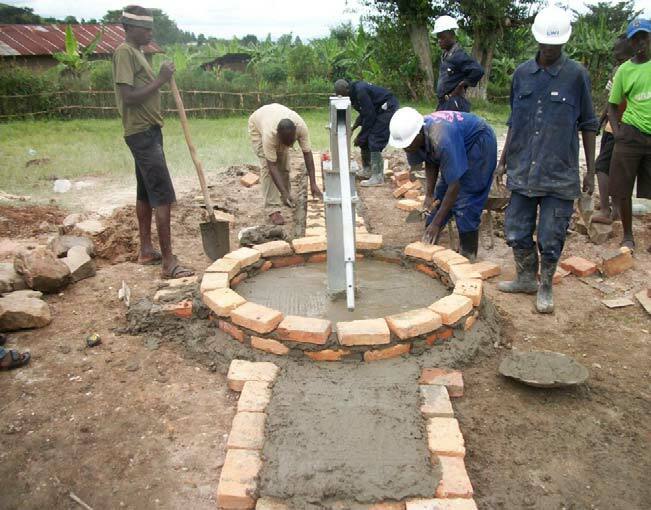 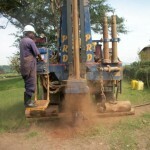 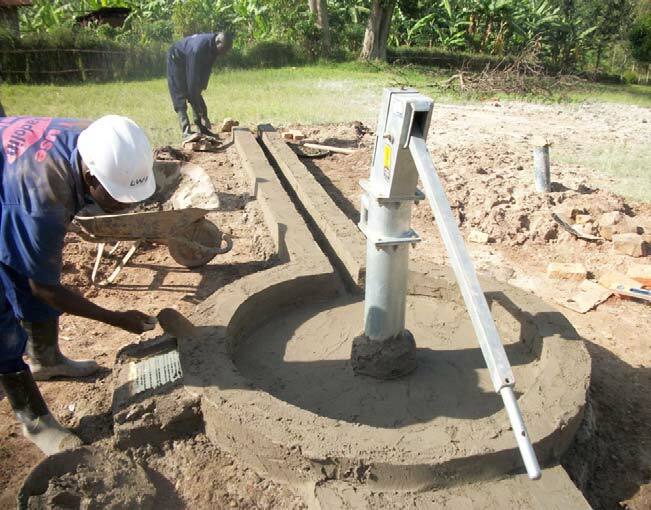 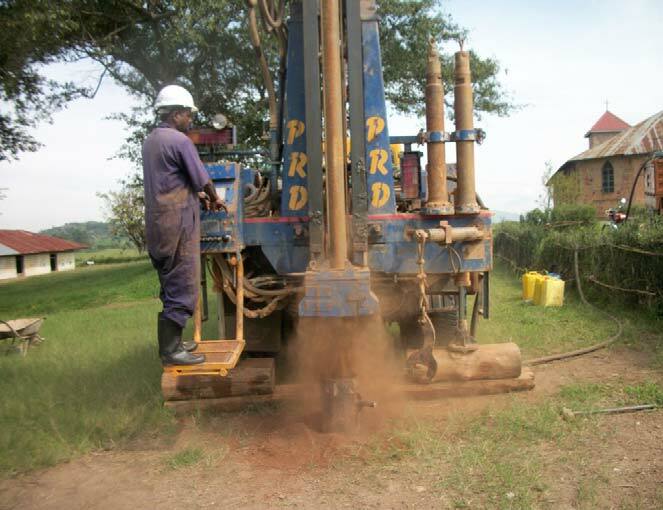 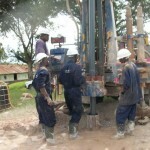 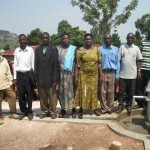 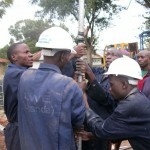 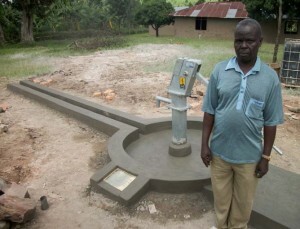 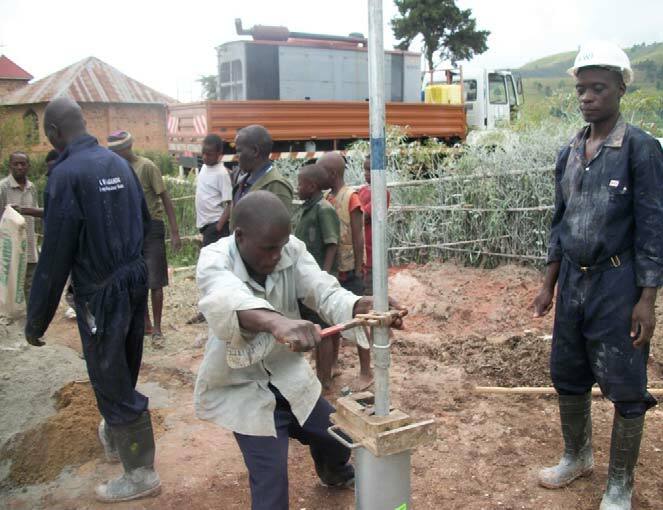 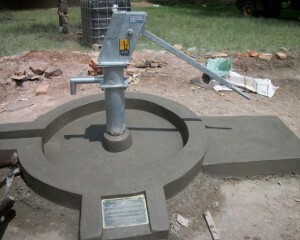 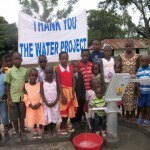 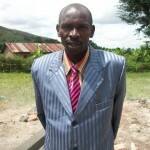 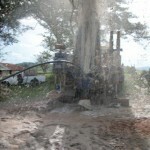 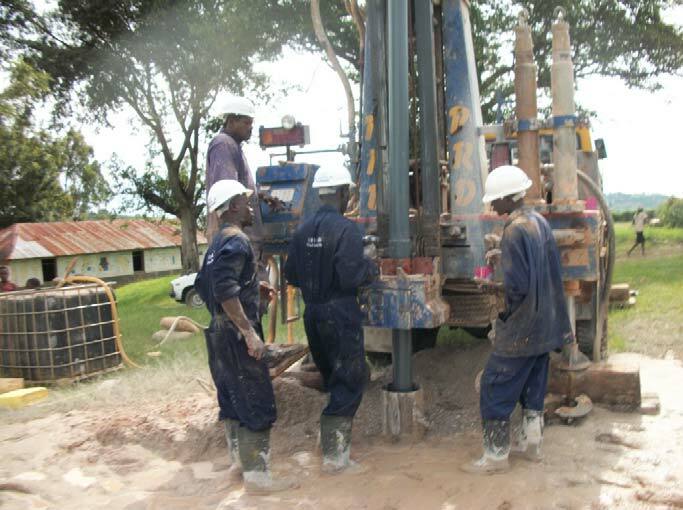 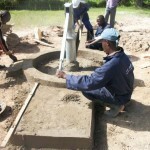 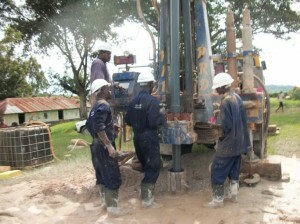 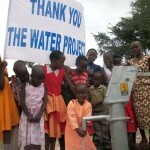 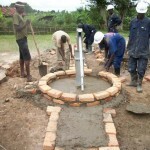 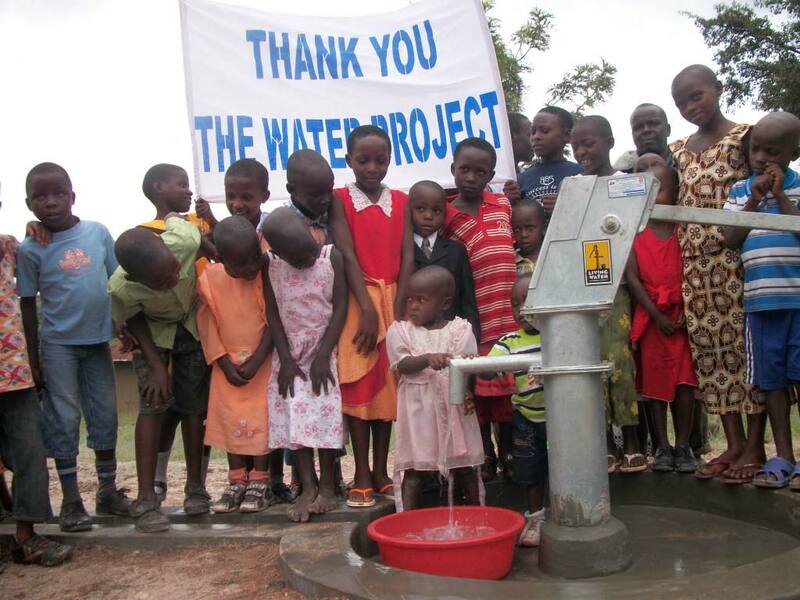 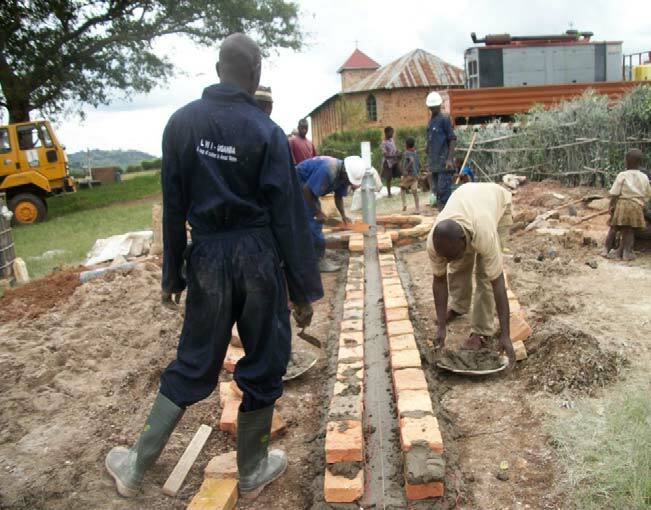 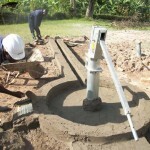 A new well has been completed for the Butare Primary School in Uganda. 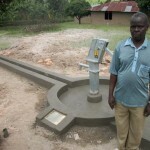 We’ve posted pictures, GPS coordinates and a full report.